Tendonitis, epicondylitis, and overuse syndromes are soft tissue injuries that most commonly occur from sports injuries, repetitive use or direct trauma. Whenever medicine adds the ending “itis” to a word, it implies inflammation as the underlying source of the problem. While this is a good assumption, it is not always true. Microtrauma, resulting in direct tissue damage such as tearing of the attachment of a tendon to bone, can be associated with swelling in the absence of inflammation. This condition is properly referred to as a tendonosis. Since a tendonosis is similar in clinical presentation to an “itis,” these conditions are frequently spoken of together and referred to as overuse syndromes. 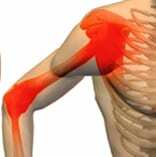 Common name examples of overuse syndromes include Tennis Elbow (Lateral Epicondylitis) and Golfer’s Elbow (Medial Epicondylitis). For more information on this topic also see the Carpal Tunnel Syndrome chapter. Whether the problem is related to swelling, inflammation, or other causes such as ischemia (lack of oxygen), the initial course of treatment is usually the same. Ice, non-steroidal anti-inflammatory (NSAID) drugs, deep massage, and changing the mechanics of the inciting source of injury are all mainstays of early intervention, and they can frequently be done on your own. Self-help treatments include rest, ice, massage and over-the-counter medications. Naturally, if you have to take any medication for more than a couple of weeks, have any medical condition that affects wellness (especially stomach problems in the case of NSAID use), or feel that your severity of illness requires a greater intensity of service, then you should consult your doctor early on. There are many underlying factors that may cause symptoms to continue longer then you expect. 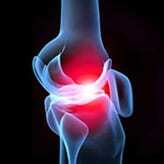 Some of these include overt tears of the tendon or muscle, or even small fractures. More commonly, there may be associated ligament damage (ligaments hold bone to bone), nerve irritation (either at the site of pain or in the neck or back), or arthritis. In any circumstance, if you are not 50 percent improved within a couple of weeks, then you should seriously consider seeking medical attention. In the vast majority of cases, tendonitis, epicondylitis, and overuse syndromes are successfully treated outside of the operating room. 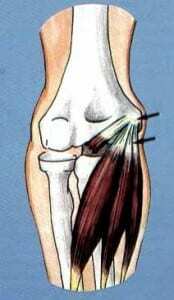 Interventions may include restorative therapy, injection with either steroid or special ligament enhancing medication, splinting, or diagnostic ultrasound guided percutaneous tenotomy. In combination, these options can help in excess of 90 percent of cases.